Anti E (big) Monoclonal Blood Grouping Reagent for the slide, tube and microplate techniques. 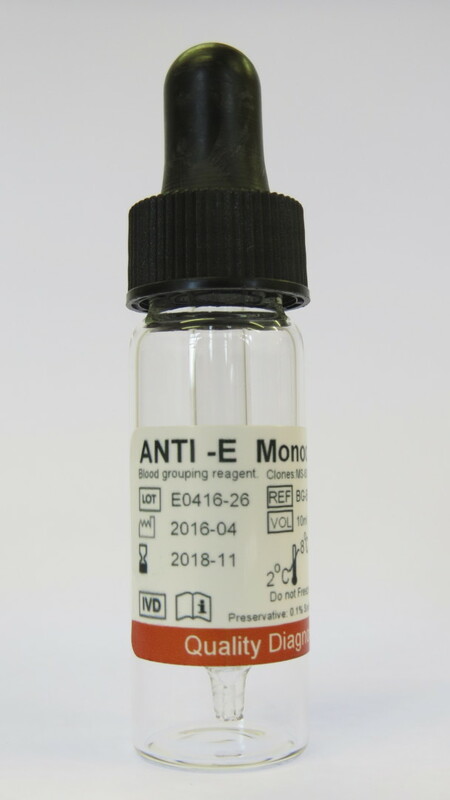 Rapid Labs Anti-E is monoclonal blood grouping reagent that will detect the corresponding human red cell antigens. These reagent is suitable for use by slide, tube and microplate techniques and are designed for use by operators trained in serological techniques.